What is the best broken ankle advice I can give you? See your physician and follow their instructions for treatment. Broken bones, no matter where they are in the body, require a physcians care in order to heal correctly. There are a lot of factors that go into treating a broken ankle...and besides seeing your physician, I do have some other great advice. If you even have the slightest concern that you may have suffered a broken ankle, it is in your best interest, both for the short and long run, to see your physician immediately. If you have indeed fractured a bone, you need an X-ray to see where the fracture is, how bad it is, and if surgery is required. Some broken ankles are pretty straight forward. The bones are broken, it is very swollen, and you can't walk on it. Others are less obvious. Either way, it is a good idea to get an X-ray. When in doubt, always err on the side of caution. I regularly send all ankle sprains that I see acutely to the Dr. for an X-ray...just to make sure they aren't broken. It is Broke - How Do You Fix It? Most broken ankles involve the ends of the fibula and tibia. You may fracture just the tip of one bone, or both, or it may go all the way throught the bones. 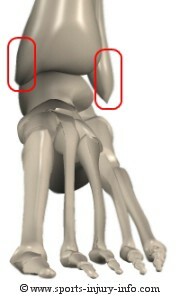 The picure on the left is of two common areas where broken ankles occur. Ankle fractures are treated with a cast or walking boot intially. It takes about 6 weeks for bone to heal, so the broken ankle advice your physician will give you is to be immobilized in a cast or boot for that time period. They may have you remove the cast or boot every few days to work on range of motion, or you may be in it the whole time. Usually you will recheck with them every few weeks to take follow up X-rays to make sure the bones are healing. Some ankle fractures require surgery in order to re-align the bones and allow them to heal. Broken ankle advice for surgery? Talk with your physician and make sure you have all of your questions answered. Surgical intervention involves placing plates and screws along the bones to hold them in place. After surgery, you will be in a cast for several weeks to allow for healing. 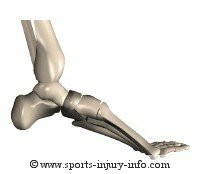 While you are in the cast, all of the joints in your foot and ankle are immobilized. Immobilzed tissue tends to tighten up when it isn't stretched out. 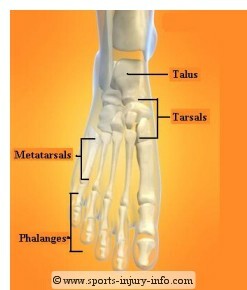 Also, all of the little joints in the foot and ankle between all of the tarsal bones loose some of their ability to move because the joint surfaces are not lubricated. Motion of joints is what keeps them healthy, and keeps the surfaces lubricated. When you are immobilized, your joints can't move, so the joints get stuck. When the cast comes off, you will have lost range of motion in your ankle and foot. This will affect the way you walk, and can also cause pain and discomfort when you start putting weight back on your leg. Some of this motion will return just by using your foot again. However, it usually takes rehabilitation to return to normal. And if you are planning on returning to sports activities, you will need normal motion in order to compete. Ask your doctor for broken ankle advice...especially about rehabilitation. Make sure they are aware of your concerns about playing again. And make sure that your athletic trainer or physical therapist is doing everything they can to get your motion back. 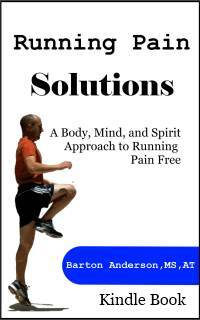 Joint mobilizations are necessary to help restore normal motion. Don't delay in seeing your physician if you think you have suffered a broken ankle. The time you spend thinking that it will get better on its own is time wasted in recovery. R.I.C.E. principles are great for the initial treatment, and also to help alleveiate pain once you start the rehab process after cast removal. It is a frustrating injury, but don't loose hope. Fractures heal well in most cases, and with rehab after the injury, you should be back to normal.